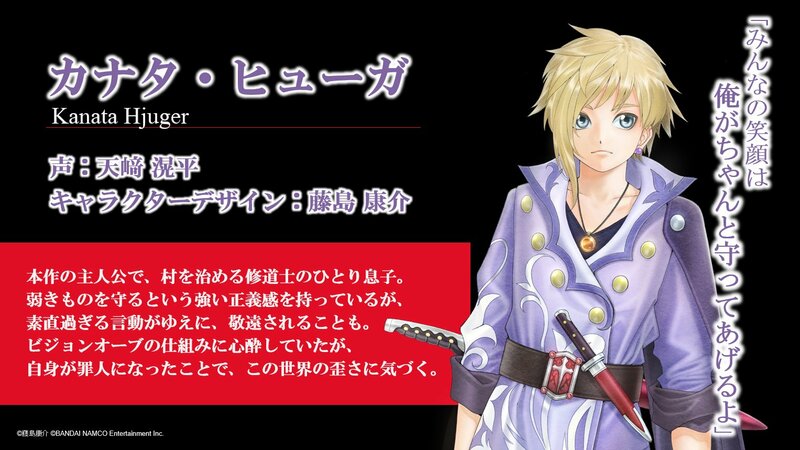 First details on the smartphone RPG. 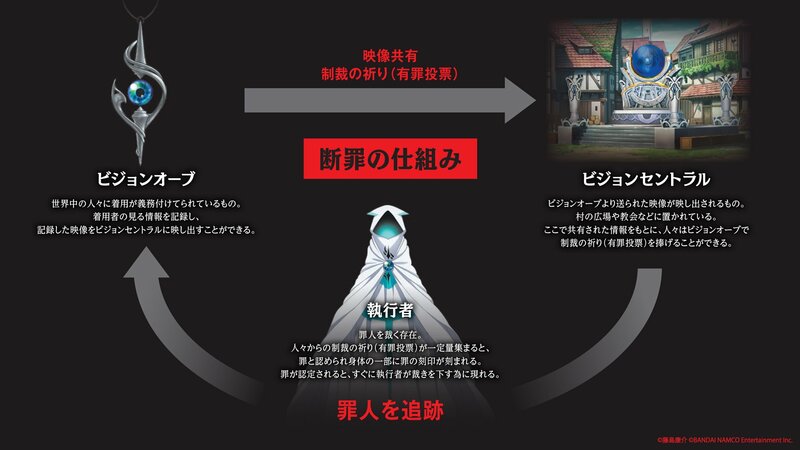 Bandai Namco has detailed the protagonist and a set of keywords for its newly-announced Tales of series smartphone RPG Tales of Crestoria. The protagonist, he is the only son of a monk who governs a village. Although he tries to protect the weak and has a strong sense of justice, people keep their distance due to his overly straightforward behavior. He has great interest in the mechanics behind the Vision Orb. He begins to notice the crookedness of the world after becoming a criminal as a result of certain circumstances. The people of the world are required to wear this. It records the information seen by the wearer and displays the recorded images on Vision Central. A device that displays the images projected from Vision Orbs. It is located in areas such as the village square and church. Based on the information shared here, the people can use their Vision Orb say a “punishment prayer” (guilty vote). A group that judges criminals. Humans who have amassed a certain amount of “punishment prayers” (guilty votes), their crime will be acknowledged and a “mark of sin” will be engraved onto a part of their body. If a crime is acknowledged, an Enforcer will soon appear to hand down judgement.